An A2 print of Paul Lewin’s painting of ‘Veor Cove’ as featured on the Art Bacchus collaboration with Newlyn School of Art. An A2, limited edition, signed and numbered print of Paul Lewin’s painting ‘Veor Cove’ as featured on our Art Bacchus collaboration with Newlyn School of Art. 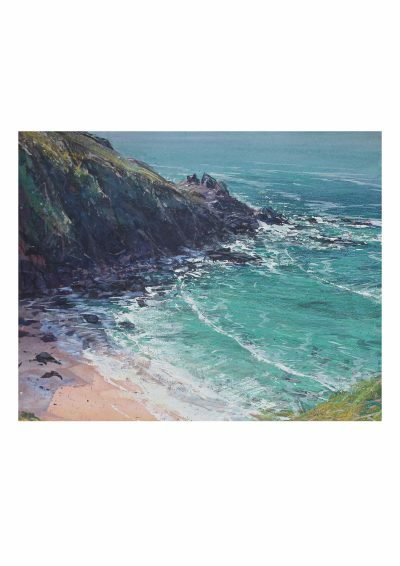 A painter of international renown for his cliff-top en plein air paintings, Paul Lewin was trained in Bristol and has since lived and worked in south-west Britain, much of this in West Penwith, the westernmost tip of Cornwall. He has had over 50 solo exhibitions and numerous group shows in the UK and overseas, including the 2016 exhibition ‘Newlyn Today – A Celebration of Cornish Art’.